To begin piping you need a 'practice chanter.' It is quieter and easier to manage than the full bagpipe. It is also inexpensive, so you can see if bagpiping is for you without a large financial commitment. Most students take from 6 months to a year to graduate to the bagpipe. The timing depends a little on talent and mostly on practice. Mike teaches 1/2 hour and 45 minute weekly lessons. If you are interested in learning please call for more information. Mike has been the director of Piping at Macalester College since 1999. 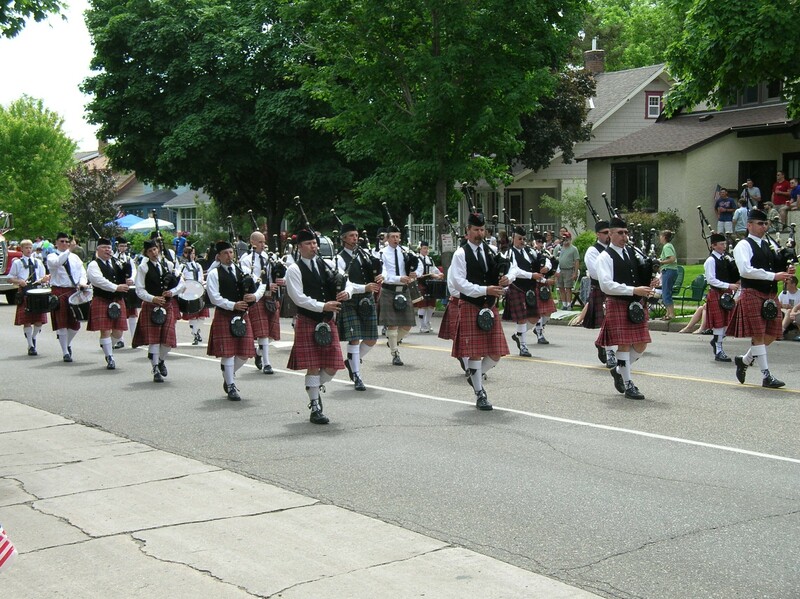 In that time the pipe band has grown from about 10 pipers and drummers to over 60 people in the organization. After the 2003 competition season, the band was promoted from grade 4 to grade 3. The band has also been awarded the title of Champion Supreme by the Midwest Pipe Band Association for the last three years. Recently, a grade 5 band was also added to the organization. Many of Mike's students have had incredible competition success, while many choose to take a more relaxed approach to the instrument. Mike gives lessons to Macalester students as well as private lessons. 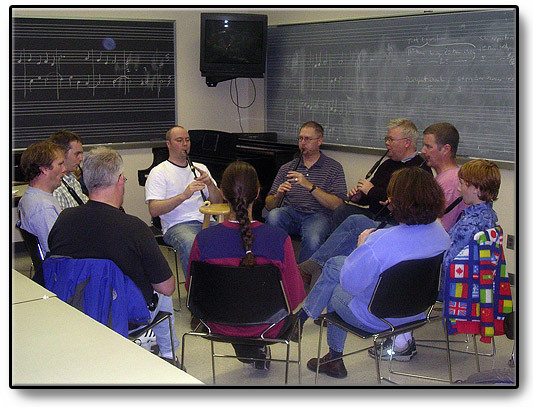 You can click here for more detailed information about learning to play the bagpipe.